During my last article, we discovered the power of blessing others. We bless others intentionally by smiles, hugs, kindness, prophetic words, and sowing blessings into each other. This is an intentional act that you can cultivate as a lifestyle. Just as Tony and I choose to stop for the divine opportunities God brings our way, we also choose to bless. Sometimes this is done in practical ways, since love looks like something. However, other times it’s simpler in forms of touching, hugging, listening as wells as speaking hope and positive encouragement for their future. All of these ways of blessing and validating others involves time. It’s important to spend good relational time with people. It’s a two way blessing. Before we spend this valuable time with other people, we need to spend time with God even more so. When Tony and I attended the Iris Global Harvest School, we learned from many local and international speakers. Rolland Baker was among my favourites. He would amaze us with incredible wisdom, and yet sometimes he would simply want to touch downcast hearts with deep joy. I came to love Rolland when I first saw him at a September 2014 conference in in Richmond, Virginia. God has gifted him with a sense of knowing when someone is secretly depressed. During the conference, he followed me around during ministry time; and he did not let up. I was secretly sad and grieving because no job was open to me at the time. I still didn’t have a paying job until two years later, shortly after Tony and I returned from our ministry in Mozambique, South Africa and Botswana. Rolland imparted to me a deep trust-joy in my heart through the Holy Spirit. This deep trust laid a foundation so I could spend more time waiting before God. When I spent time with God, I wasn’t as restless before him as I was. I already practiced soaking prayer; which is a devotional time of silently listening to God with your spiritual ears, while also listening to soft worship music with your physical ears. This is a form of contemplation. But now was a time to go even deeper. Heidi Baker says, there is always more, and it’s true. She always cries out for more, and God responds. Do we cry out for more time with God? I believe that God wants to spend more time with us. He’s very patient for us to come invite him. Hollman Hunt created a series of paintings of Jesus standing at a door knocking. There were a lot of overgrown weeds around the door, and there was no handle on the door. The door could only be opened from the inside – by the person who owns the house. But think, we are the house. The house represents our lives, and Jesus won’t come in, unless we open the door. It’s amazing how patient Jesus is! This surely shows his mercy and kindness. Heidi also shared with the All Nations Church in Arizona after a women’s conference. I attended this conference in an earlier year. At that time, I had the pleasure of Heidi ministering to me in a special way. Heidi was led to walk towards me with a bouquet of roses. She approached me with the flowers, a hug and a kiss, before she continued on her way to her seat at the front of the church. Basically, she was stopping for the one – and I was the one that she stopped for! It was an incredibly humbling experience – where I felt I was being loved on by Jesus himself. I was! She spends so much time daily with the Lord, despite being incredibly busy. This is her secret. She is so filled with the love of Jesus, that she really does pour out his love. Before she approached me, I stood worshipping in the back row of the church. The only thing that caused me to open my eyes was that I sensed the strong presence of Jesus beside me. It was like Jesus himself was standing right beside me. So I opened my eyes, and there was Heidi! This wasn’t the only time that I could clearly and powerfully see Jesus in another person. It happened before with Dennis Bennett, the man who led me to Jesus in 1988. Then it happened again through two of my professors in Tyndale Seminary. Every once and a while, I again get a similar experience. Could we be filled with Jesus’ love that? Could we touch others with the love of God? Perhaps so deeply that you can see the difference it makes? The answer is simple. We can. Spend time with God. We desperately need him, not just for ministry – but for our own needs too. Both Heidi and Rolland speak at length about this essential need. We need God. We really do. The first commandment is absolutely crucial. You need to spend time loving him, and letting him love you. Loving God with your heart could involve worship and realizing that God is our treasure. He is the pearl of great price. Loving God with your soul would be acts of service just for him in obedience, humility and integrity. Loving God with your mind could involve reading scripture while praying, and actively meditating on him. My Afrikaaner pastor Pieter-Louis says to love God in this way is to actively cultivate your ‘dianoia.’ This is your active imagination – it is part of how you think. When you give this to God, you allow Holy Spirit to speak to you through pictures, impressions and words. You can also imagine him right with you, which of course, he actually is. Through this practice, your eyes can actually open to see him more and more. The version of the story I shared is in Matthew 22, but in the Gospels of Mark and Luke, Jesus is also quoted as including loving God with all your strength. Jesus was actually quoting Deuteronomy 6:5. What does it look like to love God with all your strength? To love the Lord with all our strength is to love him with reckless abandon out of simple devotion. Heidi and Rolland have a daily devotional book called Reckless Devotion. It captures a taste of being completely wrecked by the love of God, in a way that you become love-sick for him. Here’s another example – the woman who broke open an alabaster jar of expensive perfume over Jesus’ feet. It’s likely she had this jar as a treasure for her wedding night – but instead, she recklessly shared it with Jesus – her spiritual bridegroom. So this greatest commandment is definitely not one we should skip. However, too often, that is exactly what happens. Some of this distraction is by little things that come up in our day, which rob us from our time with God. The most sad distraction is one that has the best of intentions! Rolland Baker shared with us at Harvest School that even many missionaries skip the first commandment to get to the second commandment. They move too quickly through their devotions because they see the great need of those around them. YES, we need to reach out. But if you reach out without the love, power and leading of God, you have nothing to give them but human sympathy. Human love runs out quickly, and you get exhausted. It’s far better to take the time, before you go out to the people. While I’m not a morning person, morning is probably the best time, unless you’re working and ministering at night. Without loving God with all of you, you will have no energy to do the commandment of loving your neighbour. So we need to pursue God with reckless pursuit, and he will fill us with all we need to do life. This is life in ministry, the workplace, family, studies and everything else you can think of. I can honestly say that I was helped by God to excel in university, seminary and radio school. I didn’t do as well in art school, before I knew Jesus. So we need to give God our time – our calendar, and all that is in it. We need to schedule dates with God that can’t easily be moved. One of my Afrikaaner pastors and his wife have a date with God every night at 9. You can see the life and love of God in their lives. They shine for Jesus like bright lamps in the darkness. So let’s think back of Heidi speaking in that Arizona church. I watched on a webcast and could not tear my eyes away. She was speaking on the parable of the ten virgins in Matthew 25: 1-13, and she began singing her prophetic wisdom from Holy Spirit. So I’ve done some searching on this story. 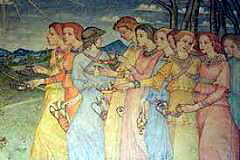 Five of the virgins were prepared and had enough oil while they waited for the bridegroom overnight. Five weren’t prepared and didn’t have enough oil – they couldn’t borrow oil from the others, and had to go buy some. The five wise virgins couldn’t even transfer some of their oil. The others had to go get their own. There is a deeper meaning of this story other than the suddenness of the bridegroom’s arrival. What is the oil? The Holy Spirit? Yes. But wait, there’s more. Yes, the Holy Spirit is often symbolized by oil, fire, water and wind. But there’s more. Perhaps grace? Yes, grace is a gift of God but there’s more. Perhaps the oil is gained through obedient Christian living? Yes, but there’s still more. So what’s the more? The very thing that God sees as our precious gift we give to him. It’s TIME. How do you get the oil? 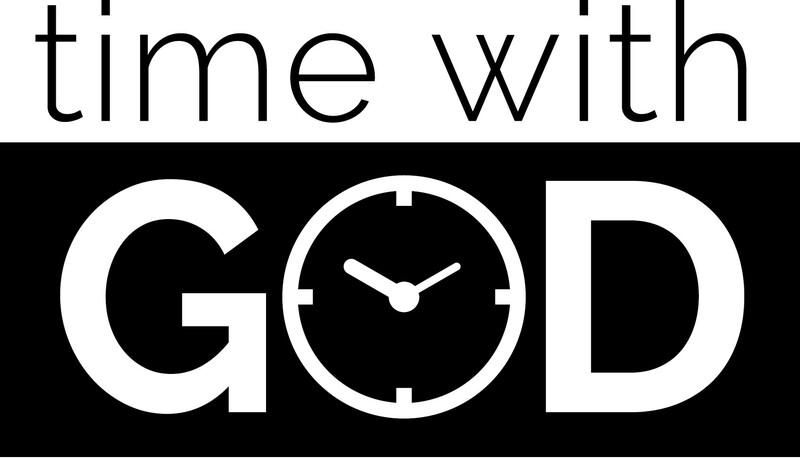 By your TIME spent with God. God takes the gift we’ve given by our lived out space in our calendars – to become the very oil that we need. Not just the anointing oil of the Holy Spirit, but something deep within, so that we shine from the inside. We become like a lamp. I think I’d like to stay and think on this revelation. I’m thankful that Heidi obeyed Holy Spirit when she shared it. So please, do not hesitate to give God your time. It may not be the hours that Heidi spends – but your own date with God. You can worship, ask questions, read the Bible, and so much more. This is a date journey with God, and he’s inviting you right now. I’d like to pray with you. Sorry Lord, that we’ve been neglecting you – Christians and non-Christians alike. Thank you for dying for us. We give you our calendars, and our lives. Cleanse us from all we have done wrong, and the tendency to go our own way. Please fill us with your Holy Spirit. Help us to respond to your invitation to spend time with us. Bless my friends who are reading this article. Touch their lives, as they take time for you. In Jesus name. You can also hear them Thursdays on CWCP via Galcom audio streamer on Thursdays 8 pm SAST, or on the CWCP podcast page as full radio shows.